The tween and teen years are a time of amazing exploration and discovery. There is so much our kids are learning about life, themselves and about how the real world works during these years. This is when they starting to decide the kind of adult they want to become. But what they are exposed to matters. 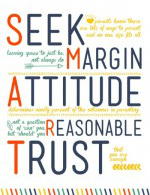 It maters when it comes to the views they are forming about the world around them, the values they are choosing and even the paths that they will ultimately follow. During this time, we want to give our tweens and teens rich resources filled with positive messages and examples to help influence and guide them. And while sometimes it may feel like tech is our enemy in accomplishing this, we need to stop fighting it and instead figure out how to make it work for us. One of the best developments to come with all this modern technology is podcasts! They provide an unrivaled opportunity to delve into topics of interest in new ways and deeper levels. They are innovative, refreshing and honestly a whole lot of fun. Podcasts can expand your teen or tween’s horizons and transform their worldview in less than an hour. 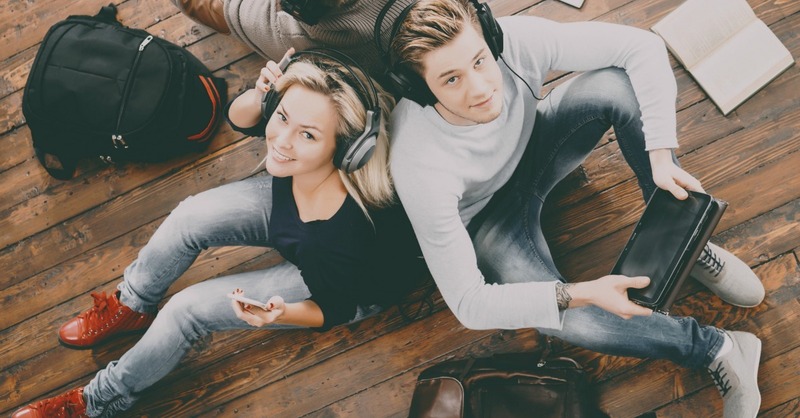 If you’re tired of them staring at screens and want to find an alternative way to engage them with technology, podcasts for teens and tweens are what you’ve been looking for. 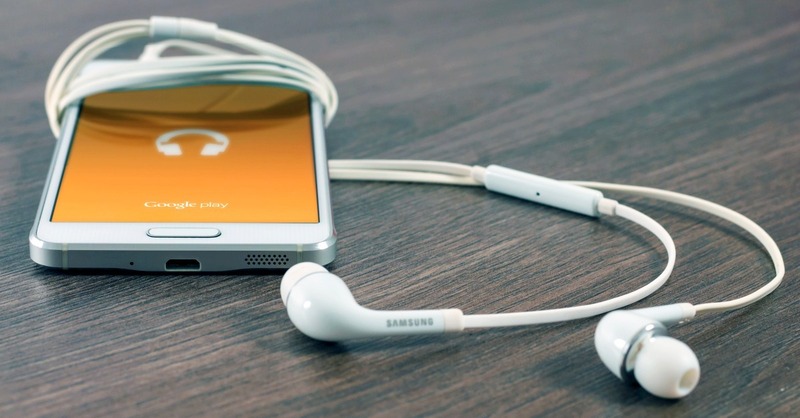 Here are ten podcasts for tweens or teens, that your kdis should definitely check out! This list is by no means exhaustive, there are so many great options when it comes to good podcasts for teens and tweens. You’ll find motivational podcasts for teens, inspirational podcasts for teens, humorous podcasts for teens, and so many more. This is a starting off point. But once you’ve got them hooked, they can search and find more podcasts that appeal to their particular area of interest whether it’s history, tech, art, business or anything else. Whatever their passionate about, their sure to find the right podcast. Ted Talk Podcast – Ted Talks go over many different types of discussions from guests all over the world. They can be very inspirational and informative. People from all ages can enjoy this type of podcast. Youth Radio – This is a podcast that is created by teens. It is dedicated to young journalists and helps give them a voice. They cover all forms of materials including issues that are popular in the media. How Stuff Works – Do you have a tween or teen that loves those science shows. This podcast is designed for those interested in how anything works from animals, health, technology, entertainment and food. If you are curious then check this podcast out. Stuff You Should Know – This is from the same creators of How Stuff Works but takes a more in depth look at issues such as politics and history but also has all the fun stuff as well. This is better designed for teens. This American Life – This podcast is heard by over 2.2 million listeners each week. They are journalists who create fun and interesting stories. This podcast can be fun for kids and adults. Mars Patel – This is designed for tweens ages 8-12. It is a podcast that is a serial mystery designed by tweens. It is explained to be similar to the Goonies. If you have a tween interested in a good mystery then this might be the podcast to listen to. All Songs Considered – If you have a teen that loves listening to music then this might be a podcast to check out. This is created for new and upcoming artists to have their music heard. This is designed for teens and adults so keep in mind that some music may have adult language. Personal Growth – Just as the title suggests this podcast is dedicated to a person’s personal growth. There are inspirational podcasts that will lift your spirits and give you a better perspective when things seem to not be going well. ECorner – Do you have a young entrepreneur in the making? There are many business podcasts available worth looking into for your teen. This podcast offers free content from Stanford University and is dedicated to the entrepreneur mindset. The Daily Boost – This is a podcast that was designed to motivate listeners. The host Scott Smith is a very funny and straight-talking person who provides great strategies to help balance your life. Want To Get Your Teen To Talk To You? Ask These Surprising Questions. Do you have any Podcasts for Teens or Tweens You Would Suggest?